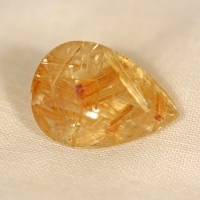 Fine grade natural gemstone from Brazil. 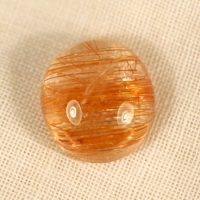 Fine grade natural gemstones from Brazil. 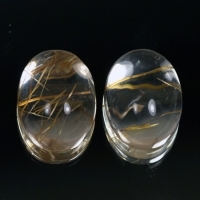 Matched pair. 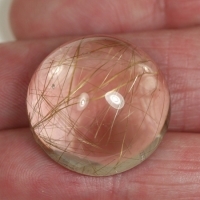 Fine grade transparent quartz with copper colored rutile which creates a cat's eye asterism. 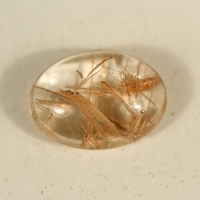 Beautiful natural transparent quartz with golden rutile needles.